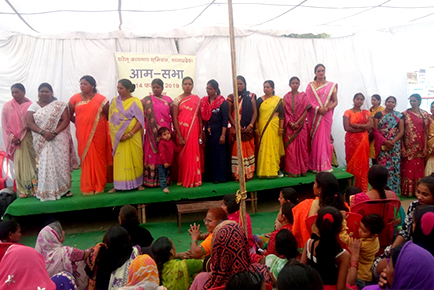 More than 400 domestic workers from across Madhya Pradesh, majority of them being women, came together in Bhopal on February 14 and passed a resolution for the formation of Gharelu Kamgar Union, a state-level domestic workers’ union. The meeting also saw the election of office-bearers of the union, and Bhopal’s Jayshree Vakore was unanimously elected as the president of the union. At the meeting, it was overwhelming to see domestic workers stepping forward to register their names with the union and openly speaking about the issues they face during work. Following detailed discussions, they drew up and collectively passed a charter of demands. Their primary demands included recognition of domestic workers as labourers with rights to social protection and dignity, and the regulation of their wages and work conditions. The union leaders, thereafter, decided to meet concerned policy-makers and government officials to strongly raise the issues related to domestic workers and to take forward their charter of demands. 700 domestic workers from the state have already joined the union.